Many residents have to pay the power companies for damages caused by their trees or branches to the power lines and power poles. Your insurance usually won’t cover such expenses. Trees can cause power disruptions and cut off your electrical power. The effect of a tree or branch falling on a power line can have devastating effects on numerous users’ power supply, starting a chain reaction of severed services. If a large enough tree falls on a power line, it can snap the power line or uproot the poles that hold up the wires. This can cause even greater inconvenience, resulting in the necessity of a major cleanup operation. It also comes with a number of hefty costs. Jim’s Trees is able to help when trees and branches disrupt your service. We can prevent the damage from ever occurring or clean up the trees and damaged power supplies after the incident has taken place. And we do it all without causing further damage to property. Our company can provide professional consultation that can help you determine what steps need to be taken to keep your power lines safe. We can assist with all tree pruning and maintenance to keep your trees in great health while preventing them from causing you any trouble. But when disaster strikes, we are prepared to step in and help as well. For years, we’ve specialized in providing the fastest, safest, and most reliable tree and power line clean up services. We make sure all local and state laws are adhered to during our work. Use only professional arborists to cut, prune and remove trees. That way you prolong the life of your trees and make sure that no further damage occurs to your property. Contact us right now to find out more information or to schedule a consultation or service visit. 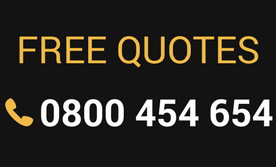 Or you can use the quote form on this website to determine the cost of the services you need.